Many people are hesitant to have extractions done due to unsuccessful or unpleasant outcome they have experienced in their or someone else’s past. Thanks to the luxurious skin care system, Beauty Water I use during my facials, extensive experience practicing these treatments and the use of new technology, you will have no unwanted marks or signs of extractions done at Sonata Spa. That is why exfoliation is a big part of the European Facials at Sonata Spa. You will actually SEE Instant visible skin-clearing results and love your baby-like skin again! Depending on skin condition, age, and lifestyle the combination of procedures you receive during facial may vary. Innovative Ultrasound Microdermabrasion, LED Photorejuvenation, Microccurent, Chemical or Enzyme Peel, High frequency or Galvanic modalities may be included in your treatment which will be determined and discussed during your complimentary consultation. 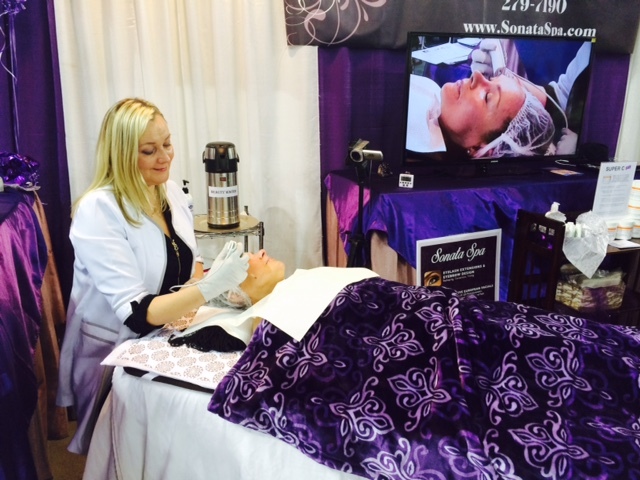 What facials does Sonata Spa have? At Sonata Spa we have over 50 specialized facials. All our treatments are performed using Beauty Water. Among exfoliating, nourishing, relaxing spa facials we offer powerful rejuvenating and corrective skin treatments. We also offer recovery facial treatments which can be used after plastic surgeries, electrolysis and chemical peels. We will help you choose the best option for you. A facial is a professional treatment designed to improve the condition of the skin. During a facial, deep cleansing, massage, treatment masks, specialized products and procedures may be done by a licensed and trained esthetician. Facial treatments help maintain the skin’s health and help correct certain skin conditions such as acne, sun damage, premature aging, and rosacea. Regular facials help preserve a youthful look and prevent premature aging. What kind of facial do I need? Consider your skin condition, time of the year, life-style, desired results and the experience you anticipate. Unfortunately, there is no way to determine the exact frequency of sessions, because everyone has very unique skin, life-style, hygiene habits, etc. For example, I usually compare exfoliating procedures with house cleaning. How often do we clean our house? Most people do it on a daily, weekly, monthly basis, and before special occasions. Once in a while we have professionals do it for us. Seasonal cleaning, like spring cleaning, is also a common and necessary custom. The same principle should be applied to our skin. We wash it with a cleanser daily, use scrubs weekly, and once in a while we come to see a skin care specialist to exfoliate it professionally. How often? Your skin will tell you. When it looks grey, dull, lifeless, dry, flaky, covered with black or white heads – it’s time! Relaxing, nourishing spa facials can be used as often as once a week. Corrective skin treatments for acne, aging spots, hyperpigmentation, and rosacea often require a series of sessions on a weekly or monthly basis as well as an improved home care regiment. At Sonata Spa we have a great selection of products for home use to enhance and support our treatments. Visit www.SonataSpa.com for more info. Beauty Water is a marvelous, gentle astringent for your skin that can help support the proper pH level of your acid mantle. Just by rinsing and washing your face with Beauty Water, instead of chlorinated tap water, you can enjoy clean, healthy skin every day. There has been extensive research studying the chemistry of the skin’s outer layer since the late 20th century. More than a hundred years of medical studies have shown that the external layer of your skin is acidic, ranging from pH 4.4 to 5.9. This “acid mantle” is believed to act as a barrier, or protection, to block unwanted germs, bacteria, and other micro-organisms from entering your body. If you apply a neutral or alkaline substance to your skin, this acid mantle can be compromised. Visit www.alaskabeautywater.com for more info.